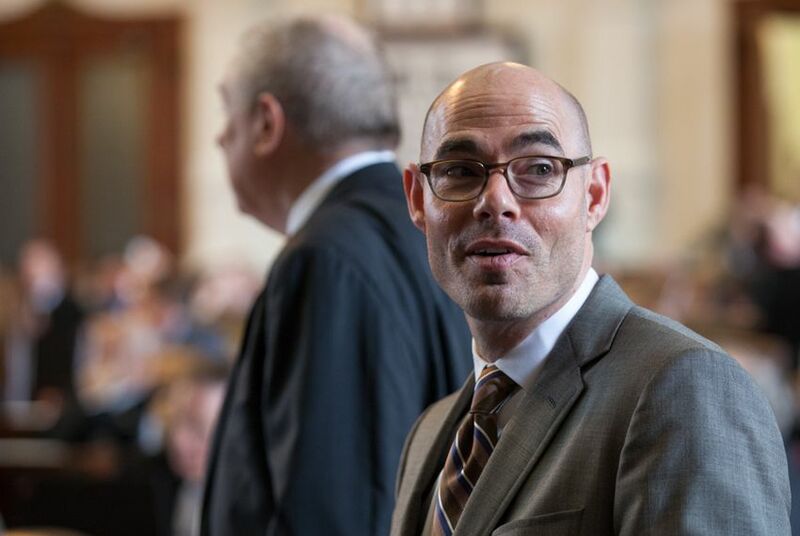 “We’ll have to see, [but] I think the Trump administration has made clear that they intend from day one, starting next Friday, to get to work on this issue,” Bonnen said, citing the day of Trump's scheduled inauguration. State Rep. César Blanco, D-El Paso, a staunch opponent of the state’s recent border security surge, said Wednesday's news conference by House Republicans was nothing more than a last “political dig at President Obama." He added that the Department of Public Safety hasn’t demonstrated that its recent efforts have been effective. House Republicans gathered to emphasize their continued focus on border security on the same day that Senate Democrats on the east side of the Capitol maintained they would fight against proposed state-based immigration legislation until the last gavel of the session drops in late May. State Sens. José Rodríguez, D-El Paso, and Sylvia Garcia, D-Houston, joined with members of the faith-based and immigrant rights communities to denounce a bill from state Sen. Charles Perry, R-Lubbock, which would eliminate sanctuary cities — the common term for local governments that do not enforce federal immigration laws — and withhold state funds from local entities that adopt sanctuary policies. Gov. Greg Abbott and Lt. Gov. Dan Patrick have both pledged to eliminate sanctuary cities in Texas this session. “We will fight this to the finish — no more and no less. We are not going to be silent in the face of these attacks on our communities,” Rodríguez said. He and others said such bills would lead to discrimination and allow local law enforcement officers to question someone’s immigration status. Perry’s bill includes language that prohibits local law enforcement from stopping a vehicle or searching a business or dwelling unless the officer is assisting a federal officer or working under an agreement with the federal government that allows the practice. But Rodríguez said he has concerns that the law could still be interpreted so broadly as to allow more widespread questioning by local police.